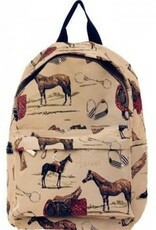 English Horse Tapestry Large Backpack. 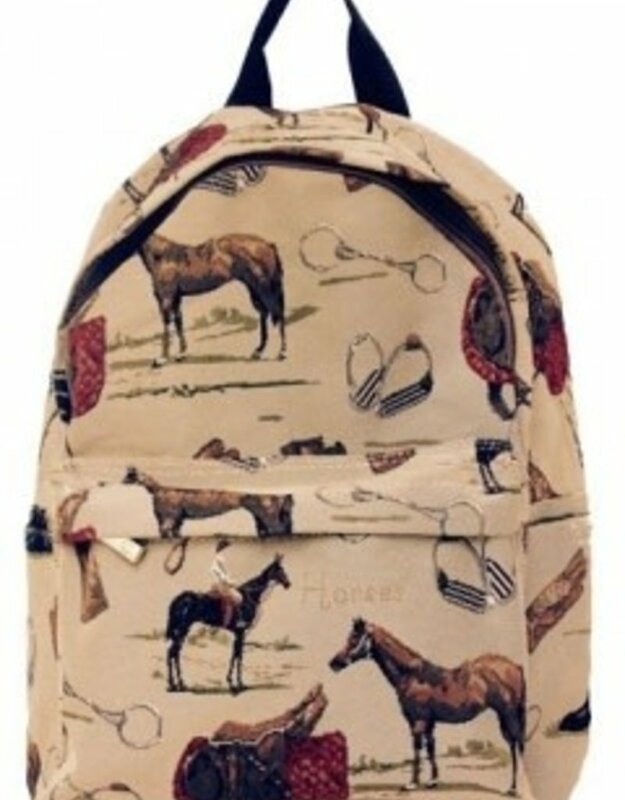 A classic bag printed with English boots, riding helmets, snaffle bits, gloves, horses, and riders! It features a front zip closure and an outside zipper pouch for securing smaller items like your phone or keys. On this inside back is an interior side zip pouch and at the front are slip-in pouches perfect for sunglasses and other small essentials. Fully lined interior. A great bag for school, riding gear, the beach, gym, or work! Adjustable padded shoulder straps fit comfortable across your back. Measures approximately 14" x 9" x 5". Tapestry Shopping Tote - High Quality Tapestry. Handy for shopping or the barn.